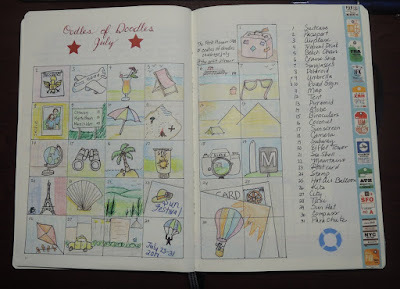 One of the items I do monthly in my bullet journal is a challenge from the.petit.planner on Instagram. 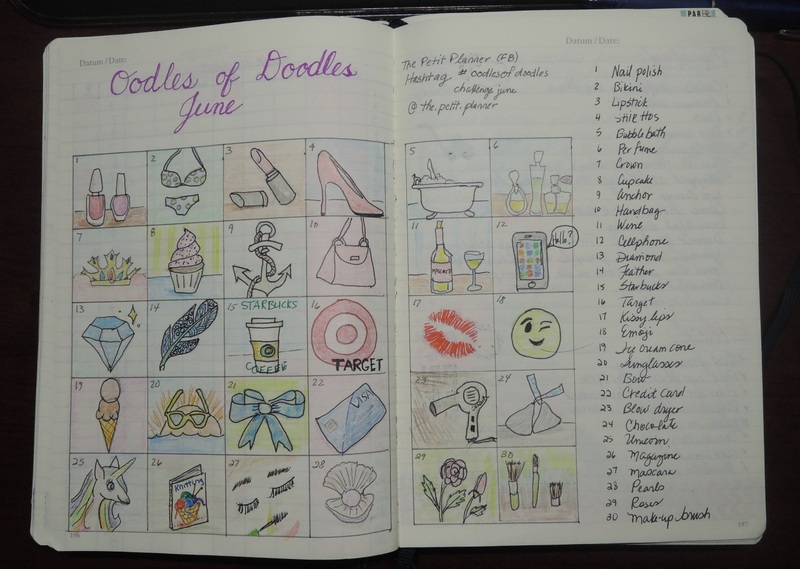 It's a doodle a day, based on a theme she chooses. 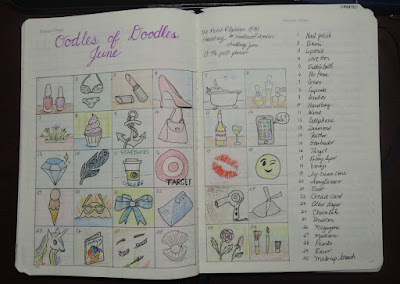 Each day has a promt - they are listed to the side of the images. 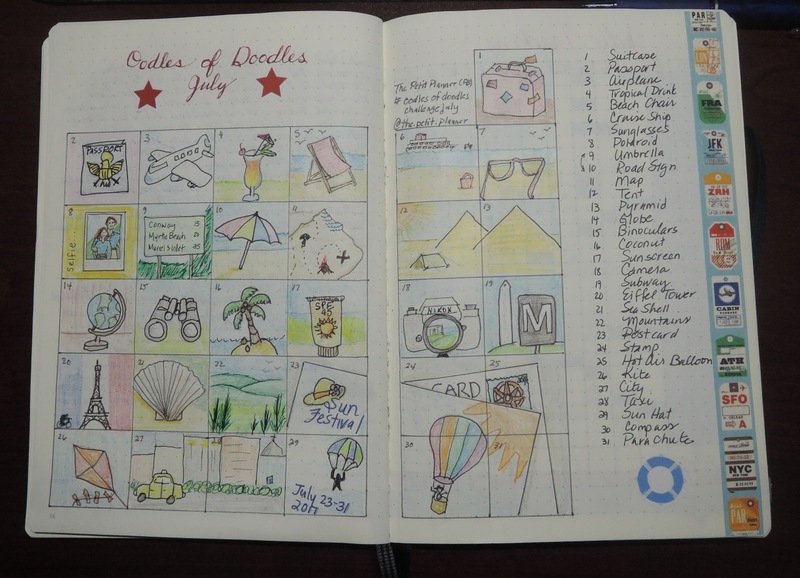 Below are my June and July pages from the Oodles of Doodles Challenge.